Today we have come up with the list of some of the best premium architecture WordPress themes that are perfect for building architecture sites. These themes will be really helpful for everyone who is willing to create a webpage of a company that deals with architecture and constructing different types of buildings. Also, these themes will be ideal for agencies and studios that are involved in designing exterior and interior, or selling, buying and renting buildings. This helps you to showcase your results to the best advantage, demonstrating your latest and most successful projects to your visitors. Not only that you can create a blog and a portfolio of your team which gives your client an enjoyable experience. Or, if you need you can run an online business and add an online store to your website. The thing you should keep in mind is that your website should reflect your style of design. The great photography is the best way to show your designs in the perfect light and also, the website should be modern, fast-loading and work in all the major browsers and mobile devices. Moreover, you need to have a good quality WordPress Hosting so your site loads fast for visitors with no downtime. Here, I have made the collection of some of the best premium architecture themes that come with amazing customer reviews and are completely responsive. Also, these themes have been updated recently so they’re working great with the newest version of WordPress. Monolit is a fully responsive Architecture WordPress Theme that comes with a clean and modern design. This theme is ideal for architects, furniture designers, photographers, and those who need an easy, attractive and effective way to share their work with clients. It is fully Customizable theme that works on the WordPress latest version. The theme is compatible with the WooCommerce plugin that helps you to do an online business easily. There are unlimited colors is available so, use the color that you like on your site. Anchro is a premium well designed and minimal style WordPress theme that suits well and is the complete solution for creative agencies and architecture purpose use. This theme uses Bootstrap 3 and it is compatible with the Latest WordPress Version. It is a creative architecture WordPress theme, focused on projects, services with simplicity and elegant design. Packed with many useful features and options. The theme includes easy option management that helps to create a site easily without any difficulties. HnK is a perfect architecture WordPress theme that is ideal for architecture, interior & decoration design company. This theme definitely will be a worthy choice which will bring a fresh and modern look to your business with its stunning beauty. It is specially made for the design firm, we proudly to introduce its striking features such as 9+ Project layouts, 3+ Gallery layouts, After & Before Remodeling comparison, etc. 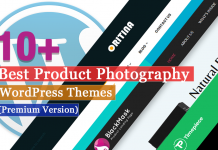 Also, the theme can be also used as a multi-purpose WordPress Theme with Project manager, extended Blog, WooCommerce store and easy-to-use function packed in. Brixey is a premium architecture WordPress theme that comes with a large set of page layouts which is carefully chosen. Also, it is crafted with many practical elements and features that let you create and manage your website effortlessly and gives a revolutionary feel for your site. You can present your work in an efficient way with the collection of home page versions. This theme comes with a completely customizable 12 different single page layouts, so choose the layout that you like. Future Architecture is an outstanding premium architecture WordPress theme that is fully responsive. The theme integrates Visual Composer for WordPress which is a drag and drop content builder that allows you to build any layout you can imagine – no programming knowledge required. Visual composer is very flexible out of the box with 40+ predefined elements but we wanted to take it to the next level and added 15 custom elements of our own. You can select the accent color you want and change the color scheme with just 1 set. Domik is a creative and responsive architecture WordPress theme that is ideal for architects, furniture designers, photographers, and those who need an easy, attractive and effective way to share their work with clients. This theme includes detailed documentation that helps you to install and use the theme without any difficulties. It works perfectly with the latest version of WordPress. Also, includes powerful theme options with Redux framework that makes your site awesome. Inteco is an awesome premium architecture WordPress theme that comes with many amazing features. This theme comes with unlimited sidebars so, you can easily create individual sidebars for each page. Also, you can turn your site maintenance or coming soon mode easily. With the help of live customizer, you can edit the theme options and view the results instantly. By using the advanced admin panel, you can set the site as you like. Artcore is a free modern, clean and responsive architecture WordPress theme suitable for creative agencies, interior design, construction, building, and architecture websites. This theme comes with bold typography and well-balanced layout that makes this theme he great option. It has a simple and lightweight page builder which enable you to build custom pages in minutes. The WordPress Customizer, customize your theme’s fonts, colors and layout options in real time, no need for programming knowledge. 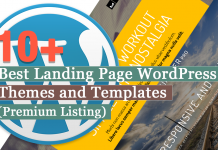 The theme is built with three sample homepages with the integrated page builder. Balkon is fully responsive architecture WordPress theme that includes a clean and modern design. This theme is ideal for designers, photographers and those who need an easy, attractive and effective way to share their work with clients. It comes with the features One-Click Import Demo that lets you design the website just like the demo. If there will be any difficulties with the theme while installing then you don’t have to worry the documentation will help you out. Barch is a clean and modern premium WordPress theme that is handcrafted beautifully for architecture companies. This theme is fully responsive and retina ready. And it is compatible with latest WordPress versions. 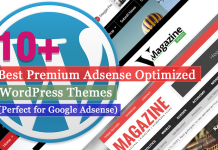 When you buy this theme, you will get the premium plugins with a total value of $71 for free. If you will get stuck while using this theme in the future then no need to worry because you will get excellent customer support from the team. ARC is a stunning premium WordPress theme that comes with many advanced and powerful features. 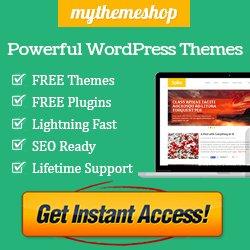 This theme comes with advanced theme options that can be customized just the way you like. It is compatible with the WooCommerce plugin that lets you start an online business easily. And the is fully responsive that looks awesome on all the screen sizes. 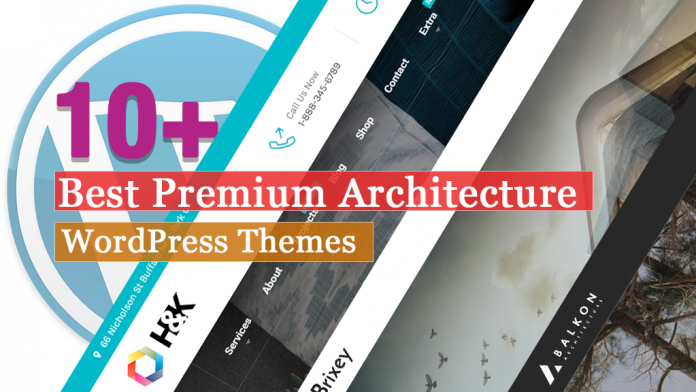 This is the collection of some of the best premium architecture WordPress themes that come with amazing features and functions. This will help you to build an awesome looking website easily. Previous articleHow to Properly Change WordPress Username? Next articleHow to Allow Users to Submit Posts to Your WordPress Site?